Wigs have been a huge part of the hair industry for centuries, from ancient Egypt and Rome to Europe in the 17th century, when royalty such as King Louis VIII of France used a wig to cover his bald head. The wig industry has so much grown over the years that even top celebrities and politicians now wear them. Even, wearing wigs has since gone on to become a hot social topic. Statistics have shown that at any given time, 50% of black women are hiding their real hair with fake hair and there now seems to be a stigma attached to this. This is why it has become increasingly important for women to wear wigs with no one ever finding out. Styles such as lace front wigs and weaves have become popular because of their tendency to mimic natural hair. 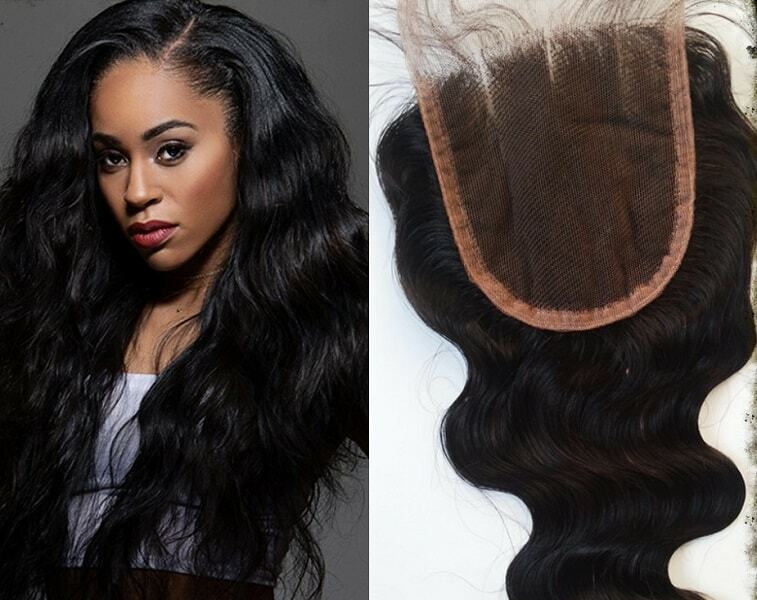 Lace frontals and closures are known for their detail and transparency, being virtually undetectable when done right. Those with a calling for the craft, such as Edwards, have this ability to make the hair look as though it is growing from the scalp. These hair pieces, which are sewn to the top of the head when weaved, or the top of the wig, offer a great alternative for multiple purposes. Self-taught Canadian wig expert, David Edwards, recently caught hair lovers' attention with his 'undetectable' wigs. Known on Instagram as Hairsay514, Edwards, 48, recently went viral on Twitter after one of his customers shared pictures of his work. For Leonia and the nearly 70,000 people who liked the post, Edwards' attention to detail was what made his work so special. "I thought his work was amazing. I didn't think the post would blow up the way it did at all," Leonia told HuffPost Canada via Twitter. "From his captions on Instagram he seems like a really genuine person doing what he loves, so I'm happy he has gained so many followers and so much support for the work he does. If he ever decides to hold classes, I would love an invite." Edwards himself is still adjusting to his new calling in wig business. Wig-making is fairly new to Edwards, as he began this craft seven years ago, a few years after moving to Montreal in 2009. "Up until recently I was a full-time painter, but now I am transitioning into becoming a full-time wig maker," Edwards told HuffPost Canada via phone. Edwards says he learned how to make wigs from YouTube after developing an interest for changing his appearance as a child. For Edwards, his new quasi-celebrity is astounding, considering he lives in Montreal where he says the wig-making community is not huge. He even receives requests for his hair services in the Philippines, Africa, Atlanta and "all over the map," and charges clients on a per-wig basis. As he looks to the future, Edwards says he hopes to work in film and television, such as "Game Of Thrones." "A place where they are looking for realistic undetectable wigs. That would be my dream," Edwards said, adding that he is creating an online collection for men's hair pieces. As for today, people basically wear their own hair, reserving the use of wigs for the movies, parties or sometimes-following chemotherapy. quality synthetic lace front wigs If you're investing in a human hair wig, look out for other special features like lace fronts (which provide a virtually invisible front hairline) and monofilament tops where hair is individually knotted on top so that it moves more naturally.